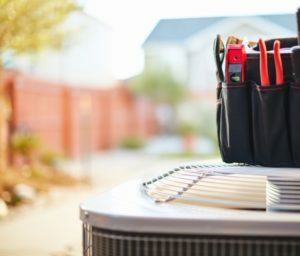 Your Jacksonville, Florida, heater does a good job of telling you when it has problems, especially when these issues could lead to a possible breakdown. One way in which your heater might be signaling a need for repair is through the smells it may emit. While some of these smells can be normal, most of them indicate a cause for concern. In Florida, there is a long stretch of time when your heater goes unused. As your heating system sits, it begins to build up dust in the ductwork and on the various components of the system. So when you fire it up for the start of the season, you are likely to smell dust burning. This problem should only happen when you first start it up and can be prevented by regular maintenance. Burning smells will continue well after your system has been running and is often a sign of a major concern. This could mean that you have frayed or damaged wires that need to be replaced to ensure that your system does not pose a fire hazard. If you notice this smell, shut your system down and contact an HVAC professional. One smell that is a certain sign of danger is the scent of rotten eggs that accompanies the burning smell. The gas company puts an additive in gas so that this odor will emit when there a gas leak. If you detect this smell, shut your system down, open up as many windows as possible, and go to a safe place where you can contact a repair technician. If you detect a chemical smell accompanied by the burning smell, there is a good chance that the heat exchanger on your furnace is cracked. This can occur with older systems, or systems that are not properly maintained, and will need to be replaced for your system to function properly. If you notice a burning smell coming from your heater, don’t let a small problem become a large one. Contact Northeast Florida Heating and Air at 904-201-3413 to have your problem diagnosed.